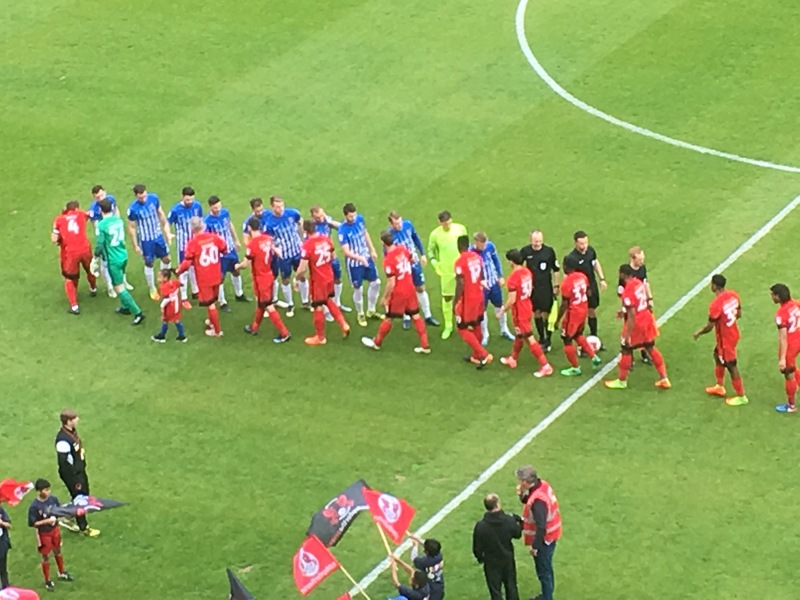 Leyton Orient end their final home game of the season with a 3-1 defeat to Colchester United at the Matchroom Stadium after the remaining eight minutes were played behind closed doors. Colchester took the lead midway through the half, as Tariq Fosu headed in from close range. The O’s equalised early in the second half, with a superb individual strike from Sandro Semedo. The visitors restored their advantage late in the match, as captain Chris Porter tapped in from close range and the game was wrapped up with a third minutes later through substitute Macauley Bonne. 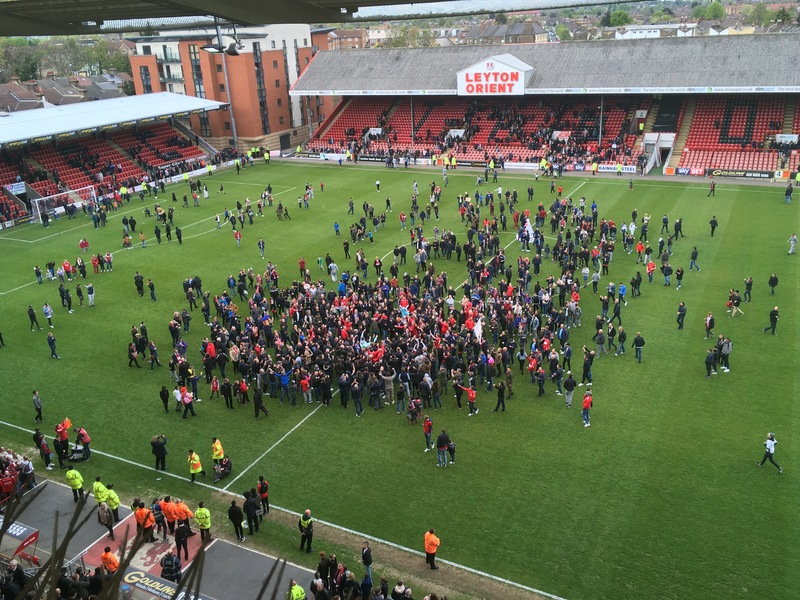 The match was then stopped after Orient supporters invaded the pitch and the final minutes were finished behind closed doors. Omer Riza made three changes to the O’s side that were relegated after a 3-0 away defeat to Crewe Alexandra last weekend, as Callum Kennedy, Paul McCallum and Jense Jans start ahead of Teddy Mezague, Henry Ochieng and Victor Adeboyejo who shift to the bench. Colchester had the opening oppertunity, as George Elokobi’s cross field ball to Richard Brindley was cut back to Tom Eastman whose shot was blocked by Aron Pollock. From the resulting corner, Sean Murray’s whipped in ball was met by Elokobi but his header was weak and straight into the hands of Sam Sargeant. 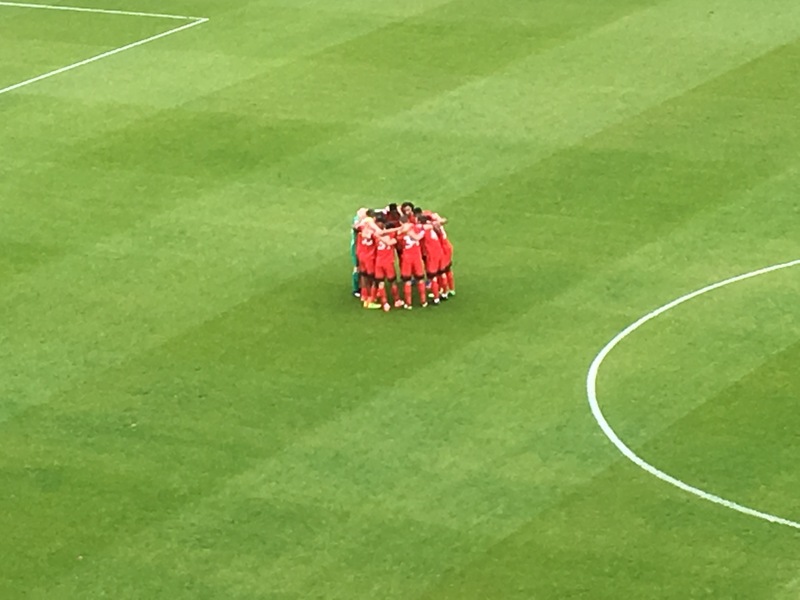 Orient made their first threat on goal, through Steven Alzate as he threaded the ball into Tristan Abrahams on the edge of the box and hit his shot on the turn which trickled wide of the target. Colchester then had a dangerous free-kick 25 minutes in, as Brindley whipped in ball fizzed just over the Orient bar. The visitors’ then grabbed the opener shortly after, as Eastman’s cross was met by Fosu at the far past who guided it past Sargeant. Orient nearly responded, as Abrahams turned on the edge of the box and curled his shot which went just over the bar. Just before the break Orient had their best chance of the half, as Kennedy’s early cross for McCallum was stopped by Sam Walker. 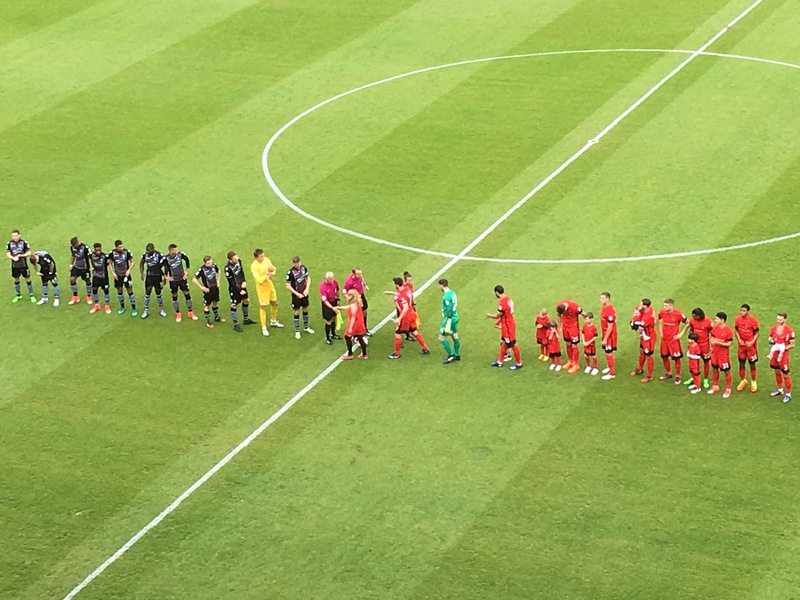 In the second half, Orient responded seven minutes into the half as Semedo burst forward and hit a rocket of a strike from Semedo for the equaliser. Colchester almost restored their lead as Matt Briggs’ hit on the half volley deflected off the Orient defender and looped just over the bar. Fosu again caused the O’s problems, as he went passed three Orient defenders inside the box but his shot from close range was tame and straight at Sargeant. Colchester then regained the lead from poor defending by Orient, as Pollock’s pass back was short to Sargeant and Fosu ran on to the loose ball went around Sargeant and cut it back for Porter to tap into an empty net. The visitors then extended their advamtage, as substitue Bonne wrapped it up with a shot which found the far bottom corner. The game was then stopped with less than ten minutes remaining after Orient supporters invaded the pitch. the game restarted two hours after the invasion behind closed doors where the match peated out as Freddie Moncur replaced Micheal Collins. This entry was posted in Football, Sport and tagged Colchester United, EFL, Football League, Leyton Orient.